Baseball is a game that is identified with food. We even sing about it at every ballpark during the seventh inning stretch: "….buy me some peanuts and Cracker Jack..." The famous song was written by Jack Norworth in 1908. From the early part of the twentieth century until the 1980s, classic baseball fare consisted mostly of hot dogs, ice cream, peanuts, and Cracker Jack. Then ballparks slowly began to sell new items. A proliferation of new food offerings during the 1990s was fueled by the opening of twelve new major league ballparks. Now, teams around the country sell a variety of exotic food as well as wide variety of hot dogs. 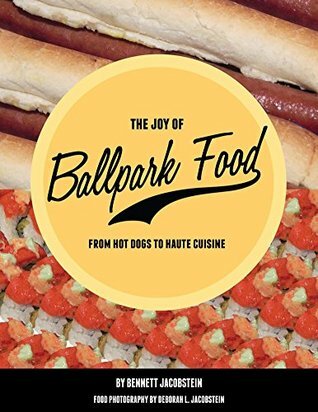 The Joy of Ballpark Food: From Hot Dogs to Haute Cuisine begins with the history of the first hot dog at a ball game and concludes with a culinary tour of all 30 major league ballparks. 100% of royalties from the sales of this book are donated directly to the Second Harvest Food Bank of Santa Clara and San Mateo Counties of California. People are often surprised to learn that I adore baseball. I grew up with my dad taking me to White Sox games in Chicago, so for me baseball is something that's nostalgic and synonymous with summer vacations. There's nothing like the smell of popcorn, the buzz of the crowd, and the fireworks in the night sky after a victory. On top of that, my dad is a chef, so food has always a prominent role in my life. When I found a book that combined the two- baseball and food, I had to have it. And I'm glad I gave it a go! This book is chock full of information. The beginning of the book acts as a history of baseball food and hot dogs, including how they became important, how they changed, and who's who when it comes to baseball cuisine. There's a lot of cool pictures and scans of old timey programs and stuff that give the book a cool, retro, scrapbook type feeling to it. The second half of the book is dedicated to a culinary tour of all of the baseball parks in America. The first half is full of fascinating facts that I didn't know, and that I've stored away for future reference in conversation. This book is good because though there's a lot of history and information, there's no "info dumping". It doesn't read like a text book, but more like a casual and entertaining story that happens to be informative. There's a resource guide at the end of the book, but I do wish that there were some citations or footnotes in the book. More than just hot dogs, this section also highlights a Kosher history and the evolution of healthy food too. The second half, as mentioned earlier, is a food map of the parks in the USA. Each stadium is listed, and for each stadium there's a featured hot dog or sausage, and then there are informative little snippets and offerings from other stalls and vendors that can be found at each park. I appreciated these short backstories because it's cool to see people's stories, and I was surprised to learn how many stalls are owned or were started by baseball players themselves. What I learned most from this is where I need to see a game so that I can eat well! From the Jack Daniels Triple Crown Sandwich in Baltimore to beer ice creams in Atlanta to conch fritters and ceviche in Miama, please take me out to the ball game! I couldn't help but to feel a bit of hometown pride when getting to the Chicago stadiums. I've been to both, though I'm definitely not a Cubs fan. That said, I have had a lot of the restaurants/foods mentioned in this book. Bobak's Polish sausages are the best. Beggar's Pizza is amazing, and comes with a deliciously unholy amount of cheese (I mean, their motto is "We lay it on thick). Wow Bao has some of the best steamed dumplings in Chicago. One thing I didn't know before reading this, though, is that the Cell (that is, US Cellular Field) is the only stadium in the states with a Hooters in it. The more you know. This back section got a bit more "yelp review"-ish, and started to have more of the author's personal opinions. This wasn't a bad thing, but it did shift the tone of the book. There were also a few times where it got snarky like "I'm sure it tastes better than it looks" that I thought were unnecessary. The pictures looked delicious, but unprofessional. Despite that last remark, it's clear that this is a book of passion. The author obviously loves food and baseball, and it's awesome that he made a book that represents them both. On top of that, the proceeds of this book go to an organization that helps to feed the hungry, which is a really cool idea. I think this book is a fun read that acts as both a history book and a guide to where to eat and what to enjoy while you're at a baseball game. Foodies, sport lovers, and those interested in US history and Americana would all benefit from reading it, in my opinion. 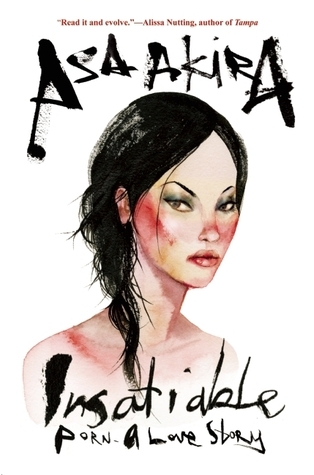 It's a book I'd definitely buy for when I'm traveling around in the summer. 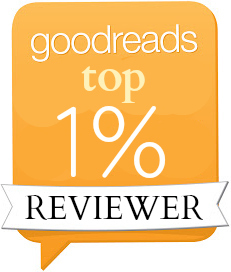 I recieved a copy in exchange for my honest review.